We’re already pretty colorful and fun around Makers Connect, but just to amp up the volume, we’re bringing in two SUPER colorful folks this weekend to help you gather gifts for the discriminating artsy people in your life. All day from 11: 00 till 5:00 we host Brad Abrams, a south-east Dallas local phenom known for his sprawling studio compound, where he blows and casts glass. Color and forms are forever trapped in his giant witch balls! 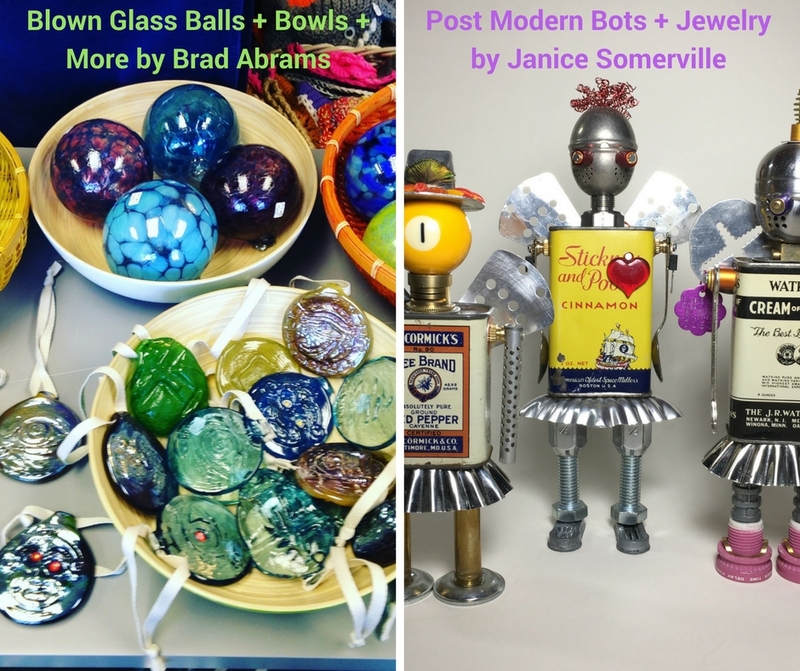 Janice Somerville, resident of Old Lake Highlands, brings her one of a kind metal ‘Bots, clay heads, and Jetsons-inspired jewelry! We’ll offer finger snacks and bubbly to enjoy as you browse! 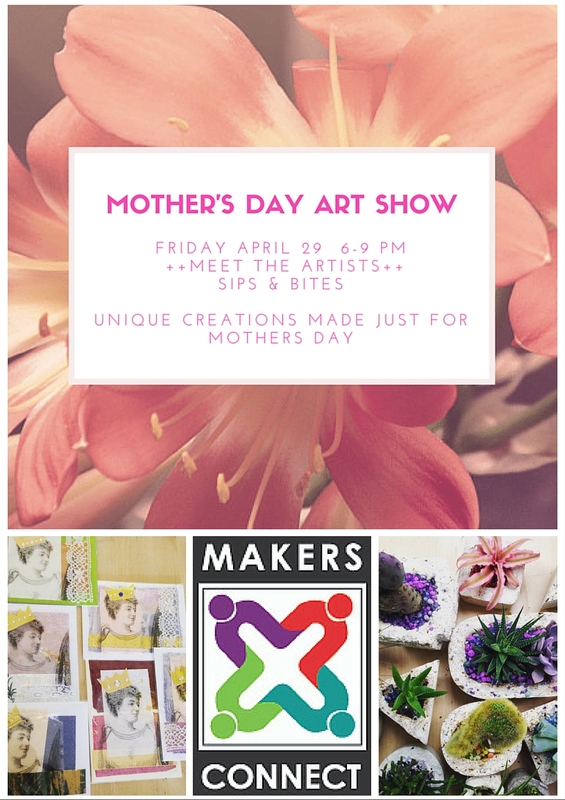 Spring has Erupted as Makers Bring in New Work and Mother’s Day Party! We’re so thrilled it’s SPRING! Aren’t you? Getting more done every day thanks to extra hours of sunshine; plus all the perennials are gently reemerging, along with bees, butterflies, and birds! We’ve noticed an increase in a several species around our far east Dallas neighborhood (that probably is a result of global warming) such as white doves, blue hairstreaks (with freaky orange bodies! ), more Robins and seemingly more woodpeckers too. At the shop, we’re experiencing a vernal bloom as well in terms of brand new product that has just walked in this week! From the soft, easter-egg colors of silk and antique linen scarves by Lisa Payne to the light purple and peach tones in Robin Weiss’ newest glass bowls, to the radiant kaleidescopic tones of Kim Morris’ newest sterling and copper earrings and the sassy little cotton jackets and hats by Reid Barnhart….plus the newly repackaged 100% soy candles by GLO and by Dylan and Co! Whew, and that’s only One Week! You simply must do yourself the favor of a visit and see what else we forgot to mention, and keep in mind that Mother’s Day is right around the corner and we’re celebrating with tables of handmade goods made locally just with moms in mind. Come to our artists’ party Friday, April 29th in the evening, and meet some of your favorite local creatives!